DO YOU LIKE BEAUTIFUL STUFF? 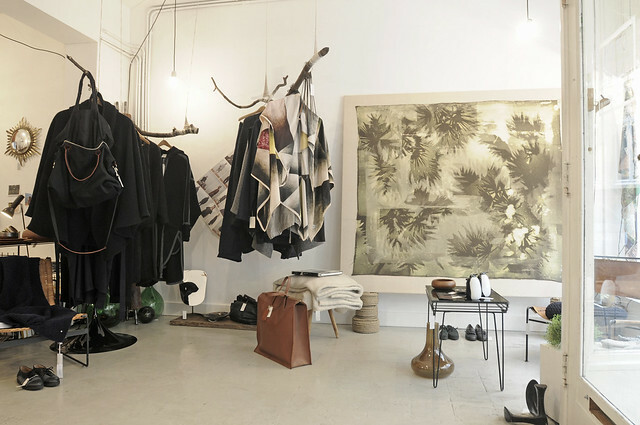 Atelier Solarshop is a curated shop space, founded by menswear designer Jan-Jan Van Essche and Piëtro Celestina, based in Antwerp, Belgium. Located in a former shop for solar panels, hence the name, Atelier Solarshop has been providing an alternative shopping experience since 2008, offering a carefully selected, and constantly updated collection of well crafted contemporary works, harmoniously blended with timeless antiques and vintage. Works that radiate a certain timeless energy because of their shape, story or choice of material - craftsmanship. Solid objects that will be around for a good while, mostly because they have been around for a good while. This way Atelier Solarshop thrives to share its personal view on beauty with the world by being an alternative desitination for treasure hunters, consciously seeking their perfect matches.